Paris-based Chainieum, a specialist in raising funds through initial coin offerings (ICOs), has announced a new ICO for Hush, a mobile banking application, in a statement released earlier this month. The Hush mobile app was the idea of company CEO Eric Charpentier, who previously founded neobank Morning in France, Chaineum said in its statement. Hush is a banking app that allows people to manage both fiat currencies and cryptocurrencies. 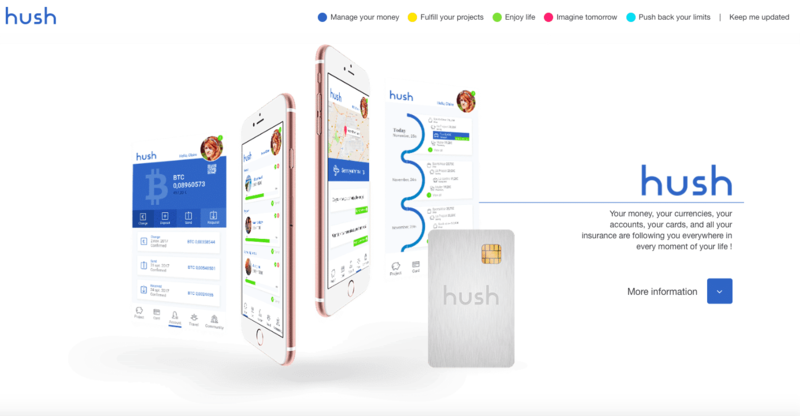 Pending regulatory approval from the European Payment Institution, Luxembourg-based Hush plans to offer services such as premium payment cards, cryptocurrency wallets, and a real-time exchange app. Chaineum stated, in its announcement, that the ICO is fully compliant with all relevant regulations and is designed to guarantee a stable bank capital management strategy for its customers while ensuring the financial independence of the company. Founded by Laurent Leloup, an expert in blockchain and corporate finance, Chaineum refers to itself as the first French “ICO boutique”, providing a range of end-to-end services to companies and international startups seeking to leverage this new funding mechanism to finance their development. Chaineum is based in Paris and Besançon, where Laurent Leloup is developing the “Blockchain Valley” project.